Date: Nov 11 2018, 6 a.m. - 10 p.m.
Join Outdoor Recreation as we make our way to Florence. 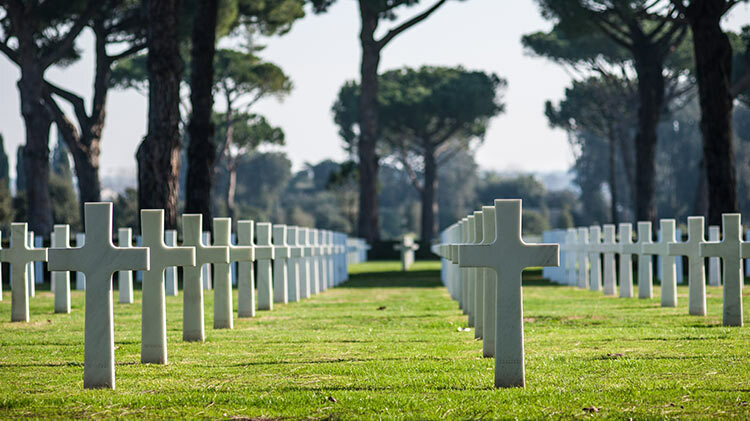 While there we'll visit the American Cemetery and Memorial site, a location that covers over 70 acres with tall wooded hills framing its western perimeter. A bridge leads you to the burials where 4,402 of our American military are buried on the hillside. The memorial has two courts joined by the tablets of the missing, naming 1,409 names. Following our visit to the memorial we will head to the beautiful Renaissance city of Florence. Florence is filled with historical relics and artistic masterpieces. You will enjoy free time to view it's marvelous churches, buildings and museums that make this city so unique are a great way to finish off the day. Don't miss this opportunity to pay your respects followed by visiting the birthplace of the Renaissance!